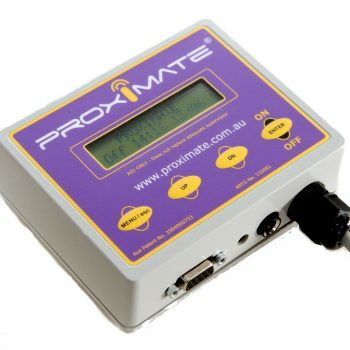 Connect sensor matt to the Proxi-Mate box. Connect Proxi-Mate box to a power supply in the wall. Press and hold ENTER to wake up from sleep mode. (The word “OFF” will now appear on proximate box). Place bed sensor under the patient. Refer Figure A.
N.B. Always place sensor matt under 1-2 layers of linen. Pager will beep once and display the message “Status Update: “on”. If bed sensor ALARMS, press ENTER once to reset, Wait 5 seconds,the Proximate box will stop alarming. 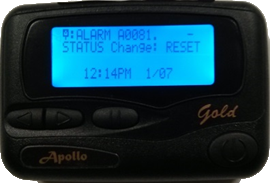 Pager will beep once and display the message “ Status Update: “Reset”. Reposition patient over bed sensor strap and press ENTER. Pager will beep once and display the message “Status Update: ON”. As the patient is getting out of bed, their shoulders break contact with the bed first. Therefore place sensor matt under shoulders for an early warning, or under the lower back for a late warning.